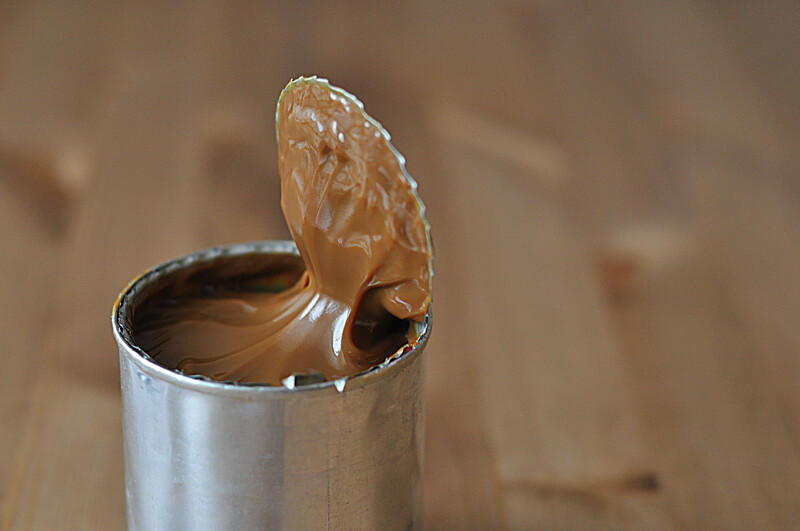 How do Russians make an incredible caramel sauce by boiling cans? Why would anyone ever simmer sweet condensed milk while still in its can? You’ll be surprised what Russians do in order to make the delicious sauce that’s their favorite filling for many desserts! Sweet condensed milk (sgushyonka) is very popular in Russia, but it’s not a Russian invention. It was first made in France and the U.S. in the 19th century. Since Soviet times, however, it’s been one of the most popular ingredients for sweet sauces and desserts. The production of sweet condensed milk started in Russia in 1881 in the city of Orenburg, but the product was not popular and the factory had to close. Only in the early 20th century did production revive due to military needs since canned milk could be stored for a year in any condition and could quickly hydrate a person. During World War II, sgushyonka was produced primarily for soldiers, but in the 1950s mass production for citizens began, and a canned dairy factory was built in the Krasnodar Region. Since that time canned sweet condensed milk has been kept in Russia’s state food reserve. Russians who grew up in the Soviet Union remember the sweet taste of homemade desserts with sgushyonka. Housewives used it for many recipes, adding it to tea and coffee, making dough with it and using it as a filling for sweets. Most unusual, however, is that Soviet people also boiled it, and put it on pancakes, waffles and cookies. There is a legend that boiled sweet condensed milk is the result of a trick by the son of the head of state procurement, Anastas Mikoyan (a founder of Soviet cuisine). For some unknown reason, the curious boy supposedly tried to boil the can, but accidentally blew it up. However, the taste of the caramelized brown mass amazed him and his father. Nevertheless, mass production of boiled sweet condensed milk only started in the 1990s. Before then, people boiled it at home. 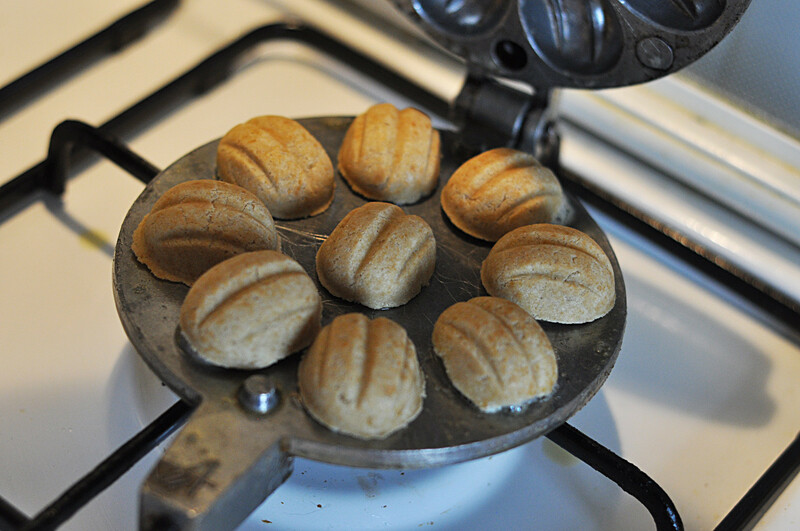 Today, you can find boiled sgushyonka in many Russian shops, but if you’d like to try the real taste of a Soviet childhood then prepare it yourself. First, you need a can of sweet condensed milk. Look carefully at its ingredients: it should contain only milk and sugar. Other ingredients won’t guarantee the desired result. 1. First, prepare the dough. 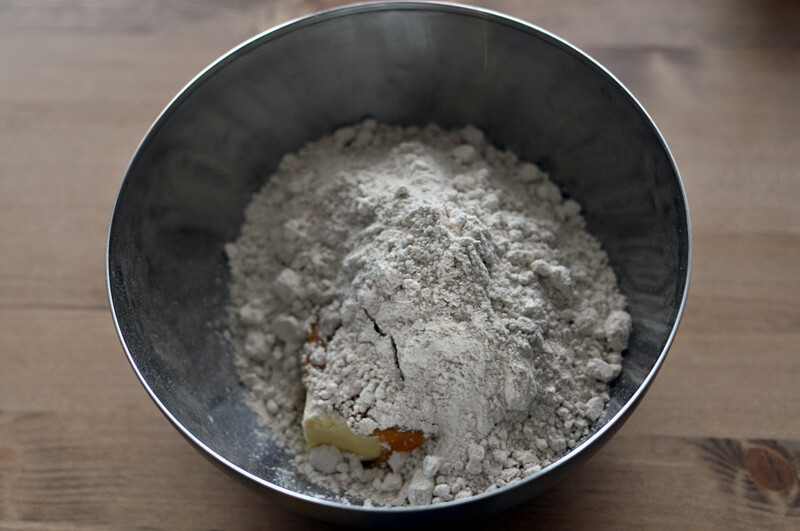 Add sugar, then butter (it should be of ambient temperature), flour and baking powder (or 1/3 tsp of soda with lemon juice). Mix. 2. Whip egg whites and add to dough. Mix, and let dough sit in the fridge for 30 minutes. 4. 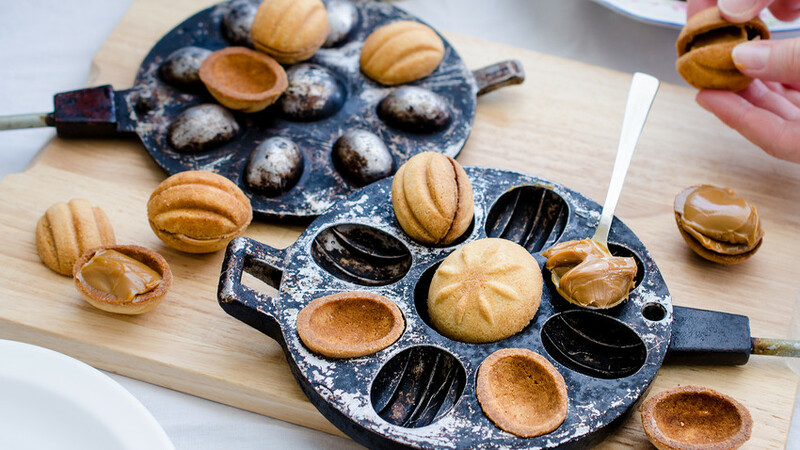 Take a pan for the “nuts” (or baking forms). Grease with butter (only for the first set of cookies) and heat. The better you heat, the better the cakes will be. 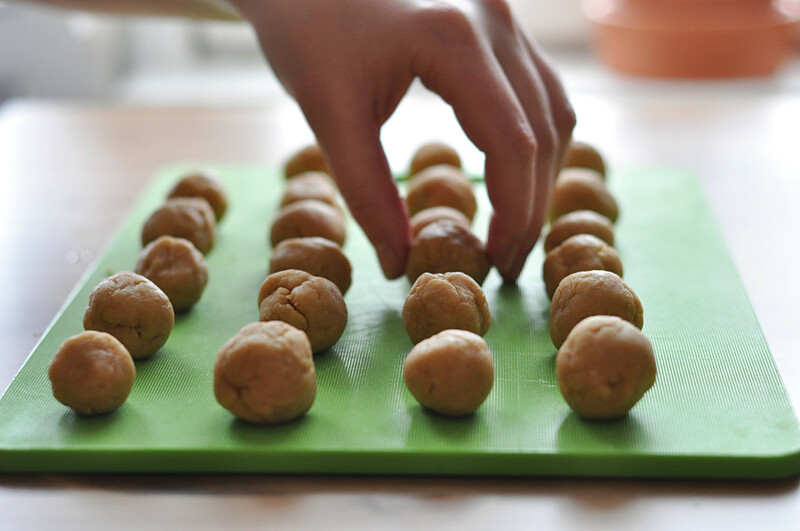 Place the dough balls into the pan and fry each side 1.5 minutes. 5. 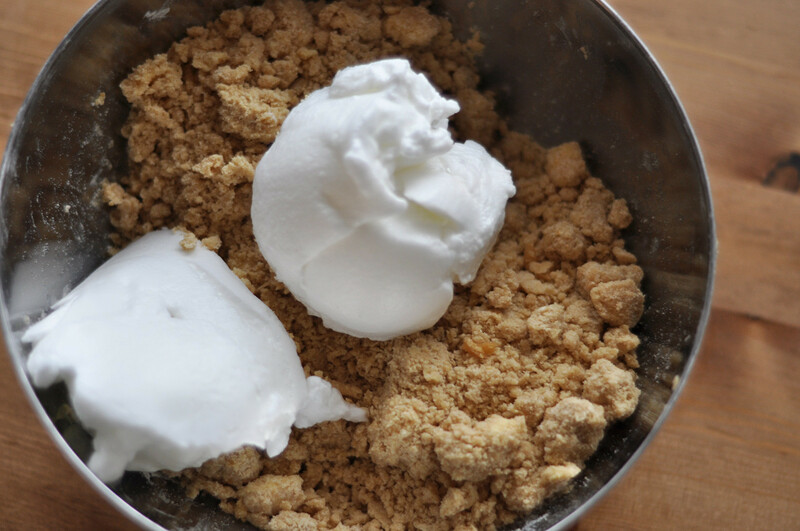 Let cool for 15-20 minutes, and start to assemble the “nuts.” Place a teaspoon of boiled sweet condensed milk into each half and close them into a whole. 6. 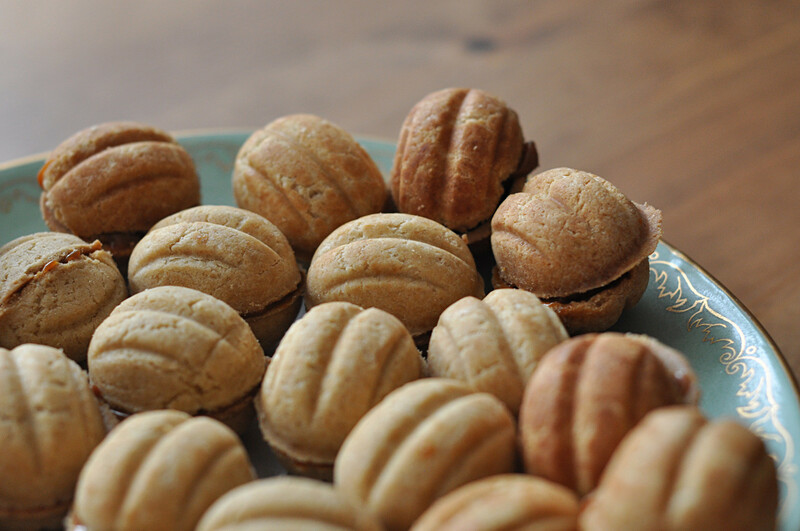 Serve “nuts” with tea or coffee. They can stay fresh in the fridge for a week.